Imagine sending a scented satin cushion decorated with shells or a stuffed hummingbird to show your love how much you care. Or making your marriage proposal official by bringing the requisite nine dozen roses. Those are just some of the wonderful ways lovers around the world – both past and present – celebrate St. Valentine’s Day! Valentine’s Day dates back to the third century when a Roman priest, Valentinus, was martyred defending the rights of lovers to marry. Rome’s Emperor Claudius had decided that soldiers fight better when they’re single and not distracted by the responsibilities of marriage, and he banned the practice. 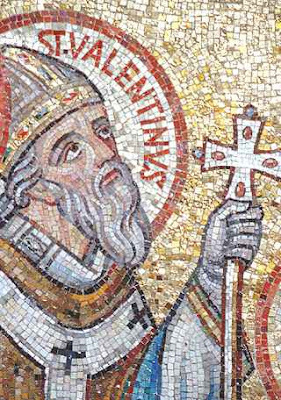 Valentinus married many young couple against the laws of the land and in direct defiance of the Emperor, and he was executed for it. Legend says that he signed his last message “From your Valentine” and that (somehow!) became a motif for courtly love centuries later during the Middle Ages. These days, Valentine’s Day is celebrated in most Christian countries. Traditionally, people have a “significant other” in mind, but in some cultures, like in Finland, Valentine’s Day is a time to appreciate all friends, wherever they may be. In Guatemala, February 14th is known as Día del Cariño, or Affection Day. Japanese women give chocolates to all the men in their lives (including colleagues) – the men are supposed to reciprocate on March 14th. Our particular favourite Valentine’s tradition occurs in Taiwan, where the number of roses in the bouquet a man buys his sweetheart for Valentine’s has significant meaning. Make sure you know the flower language before you send roses to a Taiwanese woman this year! Whatever you’re doing to celebrate Valentine’s Day this year, we hope you take the time to count your blessings and feel the love!